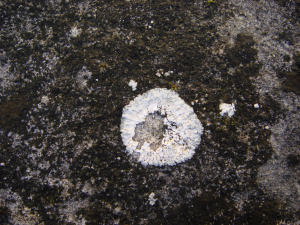 Observation - White crustose - UK and Ireland. Description: A lovely white round crustose on top of a black crustose. Found on an East facing gravestone. A lovely white round crustose on top of a black crustose. Found on an East facing gravestone.